A quartet of half-fish teens. 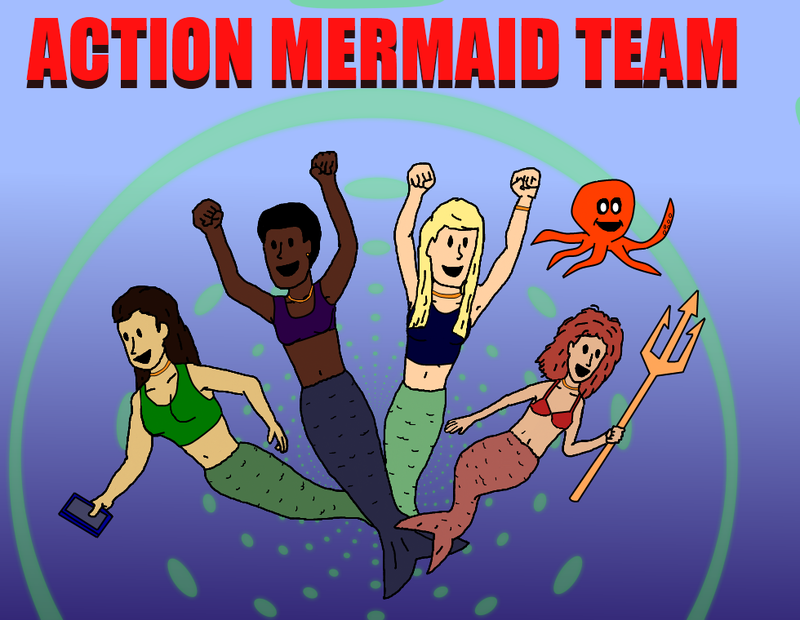 It was months ago now that Marq thought up the name “Action Mermaid Team” and then I drew a picture of that team as I imagined them. 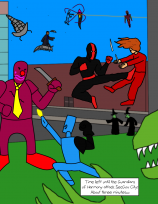 I forgot about that picture for a long time, but today, while drawing superheroes, I figured why not put them on the site? They’re not an official Super Sunday thing, but it’s clearly created by the same impulse that drives me to make those. Okay, so I figure they’re an 80s-style cartoon team. We made that little snippet of a theme song up there, and I figure there must be a leader one, an tough one, a smart one, and a wacky one. I also threw in their little octopus-lookin’ dude as their animal sidekick (who is actually the friendly spawn of some eldritch sea-being). I’m sure that we can all agree that this is a cartoon that should have been there when we were growing up. Remember the Snorks? Those guys were fun. It’s weird that we haven’t had an explosion-filled Snorks remake film yet.